Spice Tonic gets Larger ! Goodie goodie! We have been surprised by the immediate acceptance of our Spice Tonic, a combination of all the “good guys” of the spice world. Whilst we are firmly in the culinary world, and definitely NOT medicinal, we can’t help but notice that medical researchers are singing the praises of turmeric for its anti-inflammatory properties, cinnamon as an aid for diabetics, and other spices for other helpful actions. So many customers are regular users, stirring it into their morning fruit juice or yoghurt, that we are now packing Spice Tonic in a 250g pouch. Once you’re hooked, it makes sense to have a larger amount on hand. These large pouches are available online or from our store in Rozelle at a cost of $25.00. Well, as we said above, we are firmly in the culinary world. But don’t consume our new product! As so many people visiting our store have asked for clove leaf oil, we have decided to provide it. It’s a mould-killer par excellence (1/4 teaspoon Clove oil to 1 litre of water), and anyone devoted to the household cleaning bibles of Shannon Lush is looking for it. We are happy to help out with this spice oil for cleaning, but please bear in mind, it’s too strong for culinary use. In a 25ml bottle (that’s lots of ¼ teaspoons), it’s $12.75. 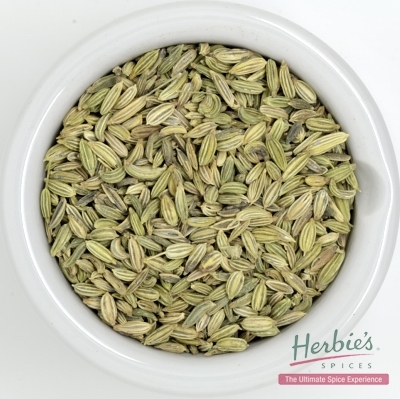 Also new this season is a fantastic spice blend featuring Dagar Phool, to which we introduced you in the last newsletter. If you have ever travelled to southern India, you may have tasted Chettinad Chicken, a signature dish of the Chettinad region in the state of Tamil Nadu. Hot with pepper and chilli, it is not often found on the menus of Indian restaurants in Australia, but we begged the recipe from a chef when we were in southern India several years ago. We are delighted with the new mix we have made for this dish. The method is more stir-fry than stew, and the chicken becomes coated with the delicious spicy marinade as it cooks. We guarantee you’ll love it … add more pepper and chilli if you like, or temper it with a little yoghurt for more delicate palates. For variety, use the Chettinad Chicken spice mix with a firm fish such as swordfish or ling for a change. What a warming dinner on a chilly night! Cut the beef into 2cm dice. Stud the onion with the cloves. Heat butter and oil in a large pot, add meat and stir to seal on all sides. Add clove-studded onion, marrow bone, water and salt. (If you don’t have a bone, use beef stock instead of water.) Add cinnamon, nutmeg and bruised juniper berries. 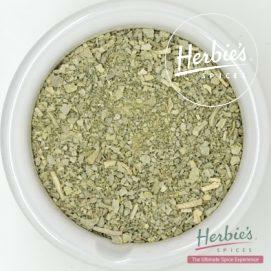 Using a pestle and mortar, grind grains of paradise and selim pepper and add to stew, discarding any long stringy fibres. Cover until boiling, then tilt lid to allow steam to escape and simmer until meat is very tender. Heat the milk (do not boil) and add saffron – leave 30 minutes to infuse. Sift flour and salt into a bowl, rub in the butter, then mix in the parsley. Add the saffron/milk mixture and mix to form a stiff dough. Pat out on a floured surface and roll lightly. Divide the dough into walnut-sized dumplings. Drop them into the stew and cook for about 20 minutes with the lid on. Serve as soon as they are cooked. Room on our shelves is always at a premium, as our tiny store has a finite amount of wall space. In spite of this, we have looked at what you’re always coming back for, and listened to your requests. So we have introduced the following favourites in larger packs for your convenience: Mexican spice blend (60 grams for $7.20), Garam Masala (80 grams for $9.35) , Smoked Paprika (60 grams for $8.10) and Butter Chicken (100 grams for $9.90). It’s winter, and that means there’s a new Box of Ideas for you, with delicious warming recipes and ideas using spices. In this one you’ll find Melange of Peppercorns, Bouquet Garni, Tagine Mix, Chettinad Mix and Poppy Seeds, to enhance your winter repertoire. Time for that retro 70’s dinner party, perhaps – get the Arabia Ware out from the back of the cupboard and serve up a tuna mornay or lamb stew! You’ll love the Mandarin and Poppy Seed puddings with their delicious citrus sauce, too. This kit, in a snowy white box, is $25.00. We’re off to discover the delights of Myanmar (Burma) in July, with Robert Carmack and Morrison Polkinghorne, authors of the excellent The Burma Cookbook, which is available from our store and website and good book shops. We’re looking forward to exploring this amazing country and finding out more about the cuisine. Stand by … there may be a Burmese curry coming your way once we’ve been inspired! Do you use Facebook? Follow Herbie’s Facebook (herbiesspices) spice trail where every month he’ll focus on a favourite spice destination and tell you all about it. Meanwhile, happy spicing – there is nothing more warming than beautifully spiced food!